Come on, admit it--even if it’s been for only a minute or two…you’ve fantasized about having your own winery, right? Okay, maybe not actually owning a winery, but being a winemaker, perhaps one of those consulting vintners who jets around following the harvests from New Zealand to Napa. Or, if you’re more the outdoorsy sort, maybe you’ve had a dream of retiring to Oregon to grow fabulous Pinot Noir grapes. But here’s one thing I bet you’ve never had a secret yearning for: Becoming a vineyard field worker doing what the Farm Bureau portrays as, “Hard, stoop, hand labor, [working] under the sometimes less advantageous conditions of heat, sun, dust, winds and isolation.” This is the description of the backbreaking work millions of Mexican men performed in California’s vineyards from 1942 to 1964 under the Bracero Program, a government guest-worker program that grew out of a series of bi-lateral agreements between the United States and Mexico. The Bracero Program issued short term, primarily agricultural labor contracts allowing Mexican laborers to come to the US to work. Roughly 4.6 million contracts were signed over a twenty-year period, making it the largest US contract labor program. Today, as the nation struggles to come up with workable immigration policies, many people are looking back for inspiration at the Bracero Program--which some remember with nostalgia, others with horror. Astonishingly, despite brutal work, paltry wages, inhumane living conditions and other forms of abuse, many braceros succeeded in securing green cards and legal residency. Today, millions of Mexican Americans trace their families’ roots in the US to their parents’ or grandparents’ arrival as braceros. Among these families a select number of men and women endowed with exceptional amounts of ambition, skill, tenacity and plain old good luck are today proprietors of their own California wineries. Their individual stories are invariably inspiring. 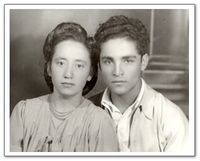 Take the Gallegos family, one of the first Mexican-American families to settle in St. Helena. Ignacio Gallegos had left his home in Michoacán, coming to the United States in 1956 through the Bracero Program. His first work experience here was as a cotton picker in Coachella, a hot, sandy, agricultural community in Southern California. Following different crops up the state, through Cucamonga and the Imperial Valley, Ignacio eventually landed in Beringer’s vineyards in Napa Valley. “His boss was Otto Beringer, and Roy Raymond Sr. was the winemaker at Beringer,” Ignacio’s grandson Eric told me. “Otto recruited Grandpa from the vineyard into the cellar, and later kept him on full time in the winery. In 1957 Otto helped him come to the USA permanently.” Ignacio spent 30 years at Beringer, retiring as winery supervisor. His son has been working in Napa’s vineyards since 1976, and his own sons, Ignacio III and Eric, have followed the dream. In 2008, the family launched Gallegos Vineyards, which now manages 300-plus acres of vines in Napa. The first Gallegos wine was released in 2013. Most Mexican-American winery owners in California will tell you remarkably similar stories. Almost all of them give credit to a boss or other mentor who helped, inspired, or otherwise made a difference along the way. Rolando Herrera has described the many jobs he transitioned through after arriving in Napa, including a stint as dishwasher at the Auberge du Soleil. In 1985, at the age of 17, he was working as a laborer building a stone wall at the home of Stag’s Leap Cellars owner Warren Winiarski. Winiarski later offered Herrera a job working the harvest on condition he attend school. 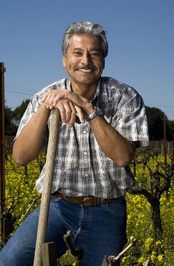 Herrera ultimately became cellar master at Stag’s Leap, then assistant winemaker at Chateau Potelle, and director of winemaking at Paul Hobbs Consulting. Rolando opened his own winery, Mi Sueño, in 2006, where he produces a range of wines including Chardonnay, Pinot Noir and Cabernet. One of the oldest and most prominent among California’s dozen or so Latino-owned wineries is Ceja. 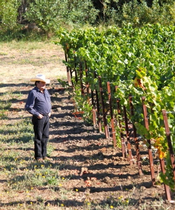 Ceja was established by two brothers (Pedro and Armando Ceja; Armando pictured here) and their wives (Amelia and Martha), who pooled their money in 1983 to buy a 15-acre vineyard. Today the Ceja families own 115 acres of vineyard land in Sonoma and Napa. They produce about 10,000 cases of estate-grown wine including Chardonnay, Cabernet, Pinot Noir, and sparkling wine. The children of the two founding families are actively involved in all aspects of the winery. Don Enrique Segura, who signed onto the Braceros Program in 1946, was a seasonal agricultural worker throughout the US until he settled in California in the 1950s. By the 1960s he had saved enough money to send for his wife and children in Mexico. His daughter Rosa Segura and her husband Enrique Lopez established Encanto Vineyards, whose lineup of wines includes award winning Sauvignon Blanc and Pinot Noir. Additionally, Enrique owns a vineyard management company, and Rosa is a leading figure in migrant worker housing issues. Almost a half century ago Lupe Maldonado traveled north from Michoacan to Napa. By 1971 he had become the vineyard manager for Newton Vineyards. His son, Hugo (a graduate of viticulture and enology from UC Davis), succeeded him in 1999. In 2007 the Maldonados purchased a small vineyard near Calistoga, dug their caves and built their winery. Today, Maldonado Vineyards produces Chardonnay, Pinot Noir, Cabernet and Syrah. This brief glance at some of the most successful Mexican American wineries leaves out a host of equally impressive and deserving estates: Honrama, Volcan, Mario Bazán, Renteria…the list is long and will continue to grow. Rolando Herrera, who named his winery Mi Sueño--“My Dream”--has said that he followed a path many of his countrymen had taken before him, “carrying with them a dream of attaining a better life.” While no one would wish for us to revisit the many abuses of the Bracero Program, we can at least be thankful that some good has come from it.